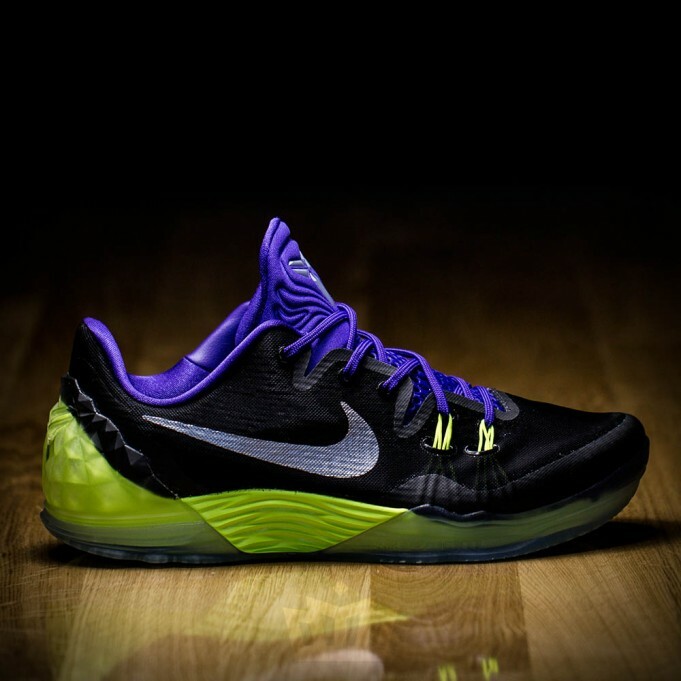 Today a new colorway of the Nike Zoom Kobe Venonmenon 5 was revealed, taking on a "Joker" theme. 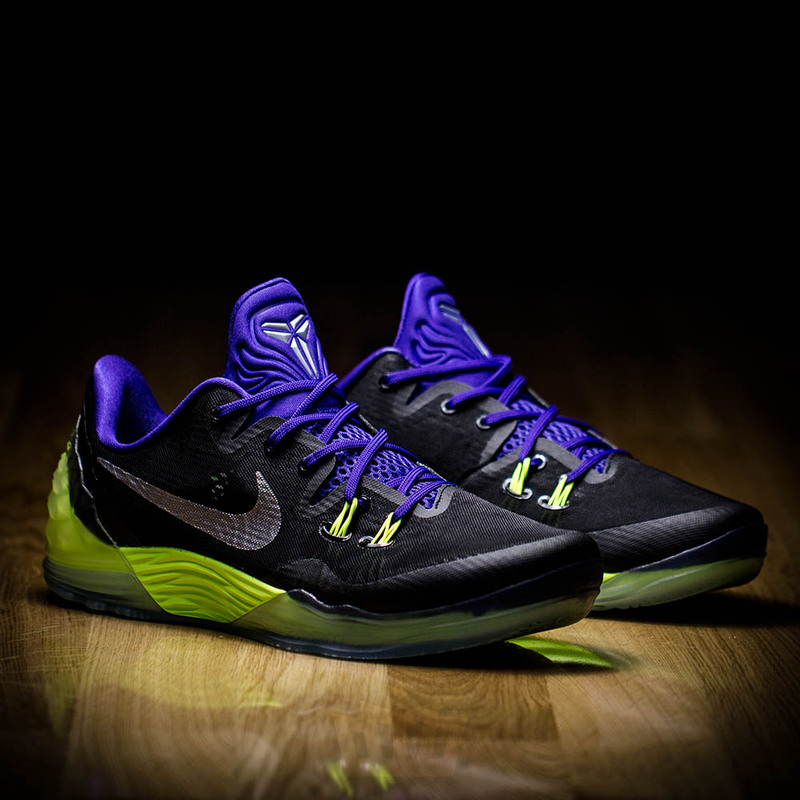 The sneaker features a predominately black upper with hints of volt around on the heel tab and midsole, purple on the sock liner, laces, and tongue, and silver on the swoosh branding and signature Kobe logo spotted on the tongue. No release information has yet been announced but expect these to hit retailers soon!